Good T Cell, "Identification novel Treg surface marker for development"
Good T Cells Inc. (GTC), a bio-venture company founded in 2016, currently develops first-in-class antibody drug and T cell therapeutics that specifically regulate the functions of regulatory T cells (Treg)”. 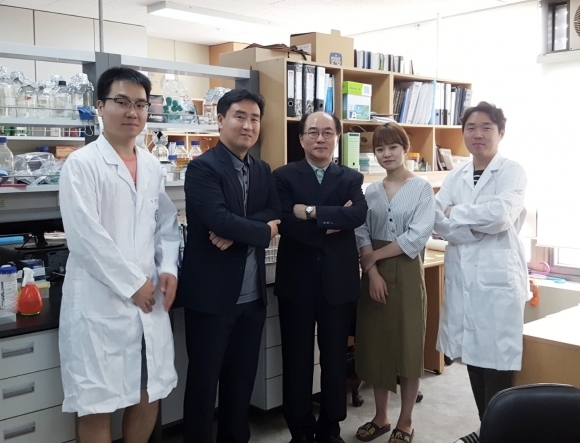 In July of 2018 Good T Cells received an investment of 5 billion KRW from Yuhan Co, Ltd., for 6.25 % of Good T Cells’ share without IP licensing. Dr. Lee Sang-Kyou, Founder and CEO of Good T Cells, Inc., introduced the company to us, “recently the global pharmaceutical companies recognize that regulatory T cell (Treg) is an important therapeutic target to cure diverse cancers and autoimmune diseases. The Treg markers identified previously are known to be also expressed in other T cell subsets with opposite functions, consequently restricting the therapeutic application of Treg cells,”, "Good T Cells, Inc. unearthed a novel Treg cell-specific surface marker (TregL1) in 2010. We are planning to use the antagonistic Abs specific to TregL1 modulating the functions of Treg cell to treat solid cancers, and the TregL1-specific agonistic Ab will be used for the patients with autoimmune diseases or graft rejection. Besides, the development of autologous or allogeneic Treg cell therapy is currently undertaken.….”.